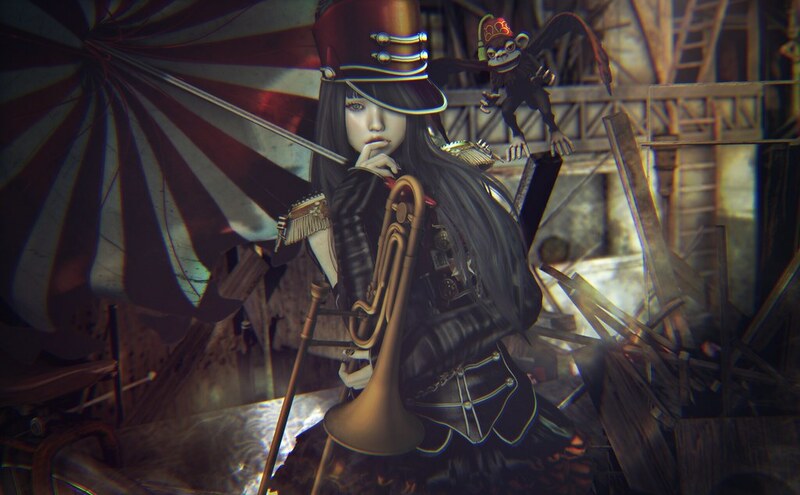 ■Skin (Applier): [ MUDSKIN ]_CAREY Gacha @SaNaRae NEW! ■Hair: [monso] My Hair – Summer @FaMESHed NEW! ■Uniform: CUREMORE/ Black Parade Uniform @Rewind NEW! ■Umbrella: Yokai – Dark Circus Gacha @Remnant Dark Days NEW! ■Pose: Poseidon Flirtation 1-6 @Blush NEW! ■Stronghold: [Kres] Salvaged Stronghold @Remnant Dark Days NEW! ■Stage and Decays: anxiety parade fullset @Rewind NEW!